Today Mom and I held a Valentine's Day party for the kids. They spent yesterday making card holders and special cards to deliver to one another. Mom was in charge of the decorations and I was in charge of treats. See the sweet Paris chocolates Mom gave me---so cute! and some of my Valentine's Day Candy Corn Fudge. It was a special day spent with Grandma! Isn't my mom beautiful? I've always been so proud to show her off! 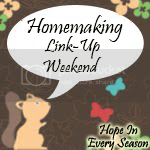 I hope you'll join me for Homemaking Linkup Weekend. I love to feature some of the neat posts that are linked up so please make sure and put my button or a text link on your blog so you'll be eligible to be featured! This article from Encourage Your Spouse really spoke to me as I'd never considered that our patience is a gift we can give others. Great post, Lori! 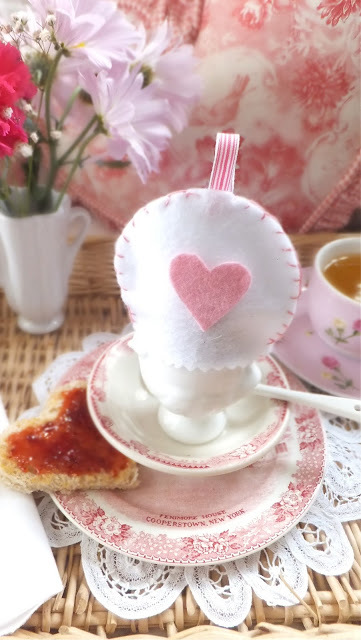 I think this egg cozy from Ash Tree Cottage is just the cutest! I'd never heard of such a thing but, apparently, they've been around at least since Colonial days. 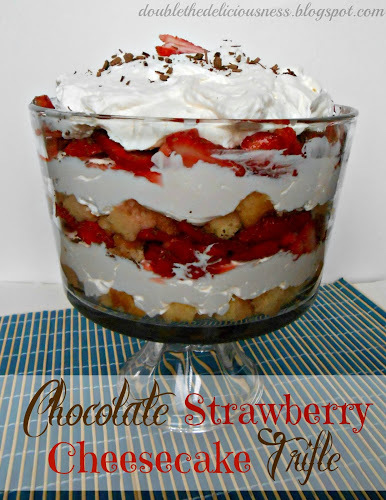 Jana of Double the Deliciousness shared this recipe for Chocolate Strawberry Cheesecake Trifle at Or So She Says... Doesn't it look so fresh and scrumptious? Finally, I want to show off my thrifty find. I adore the Lefton Miss Priss kitty set that was popular in the 1950s, but the pieces I've found on Etsy are way out of my price range. I was so thrilled to find this lonely little shaker last week for 19 cents at Salvation Army! Even though she's got a (repaired) crack on her dress and a chip on her nose, she's super special to me! I'm running a giveaway for a free download of MyMemories Suite digital scrapbooking software. Make sure to check it out---ends Feb. 25th. Looks like you, Grandma, and the children had such a fun day! Such a sweet post of the party. Great features. 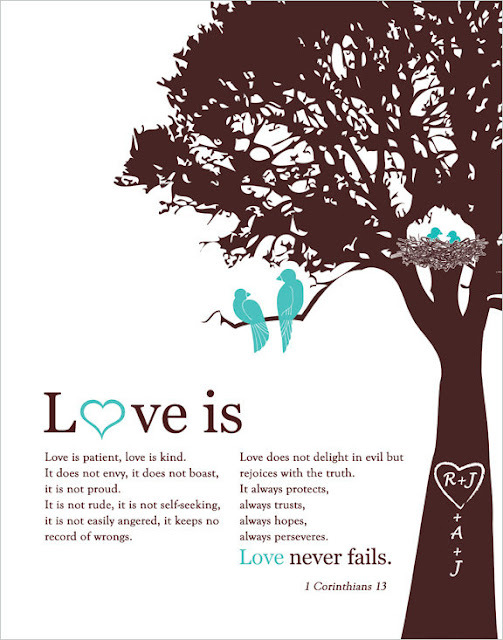 Thanks for hosting and Happy Valentine's Day. What a wonderful party for your family!! I now know that you take after your Mom and both of you are so pretty!! What a wonderful thrifty find too!! I am having my 3rd Blog anniversary giveaway so be sure to come by and enter because i think you will really like the prize!! What a great party your family had. Your so lucky to have your Mom around. 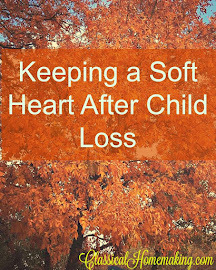 I have never had any help, the Grandparents live too far away. Thanks for hosting! Thank you for your kind words, and for highlighting the post about patience. I value being able to connect with other Christ-followers and learning from them. It's like a present I can unwrap every day. Thank you. A great and fun way to spend the day. I tend to think pretty ladies run in your family. I didn't realize that you had such a large family. I am the youngest of 8 in mine. Cute, cute! Great party and yes your mom is beautiful. Thanks for hosting and Happy Valentines! Hi Sarah, looks like everyone had a wonderful time and the robot cupcakes are adorable. 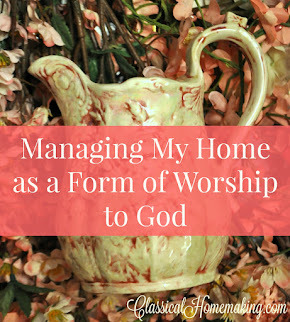 Yes, I would like to receive your weekly email reminders about the Homemaking Weekend Link-up. Please send it to b.jp101AThotmail.com (replace the AT with @). I hope to get back to blogging regularly, especially once my move is complete, so will be looking for link parties to meet new friends. Yours sounds like a lot of fun! I wanted to let you know that I tried to respond to your comment on my blog, but you are a no reply blogger! 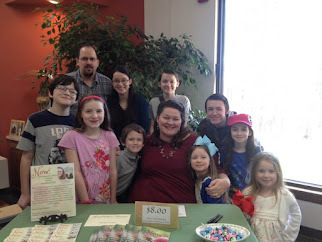 Hi Sarah,thanks so much for visiting my blog and for inviting me for your awesome party! Lovely family you have! Great post and photos. I am so happy you stopped by! I have been by several times today visiting your blog and wanted to leave a comment but there was no place to comment. Your comment thingy seemed to have disappeared. But this time, it showed up. I don't know what was wrong. Anyway, I'm glad I could comment this time so you would know I have been by. Looks like your Valentines Day was extra special. Have a wonderful weekend, my friend. What a fun day you all had! Thank you for sharing it with us at TTF. And thank you for the invite to join your party. I linked up (Keeping a stocked pantry). Thanks for hosting! I am back for my first time joining your party. You'd invited me in my Pink Valentine Tablescaping and I noted that. TY for sharing the fun and TY too for coming and visiting me in Stockholm, Sweden. Happy w/end to all, including your gorgeous Mum. Tell your mom that she looks like a very, very young and pretty grandma! What a wonderful family you have and you are indeed blessed. Thank you for featuring my post. Thanks for featuring the chocolate strawberry trifle from 'Or so she says ...!' 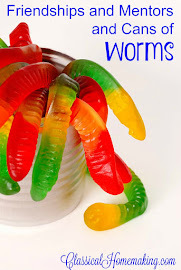 I've linked up another favorite this week! What a fun party! It looks like everyone had such a great time. :) Thanks for linking up to Family Fun Friday! So much fun! Thanks so much for sharing this on The Creative HomeAcre Hop!!! Could Blue Monday please have its own line? what a lot of fun y'all had! And what a blessing it looked to be for each one. Your decorations and food look so wonderful!!! I'm a diabetic, but oh that fruit trifle!! 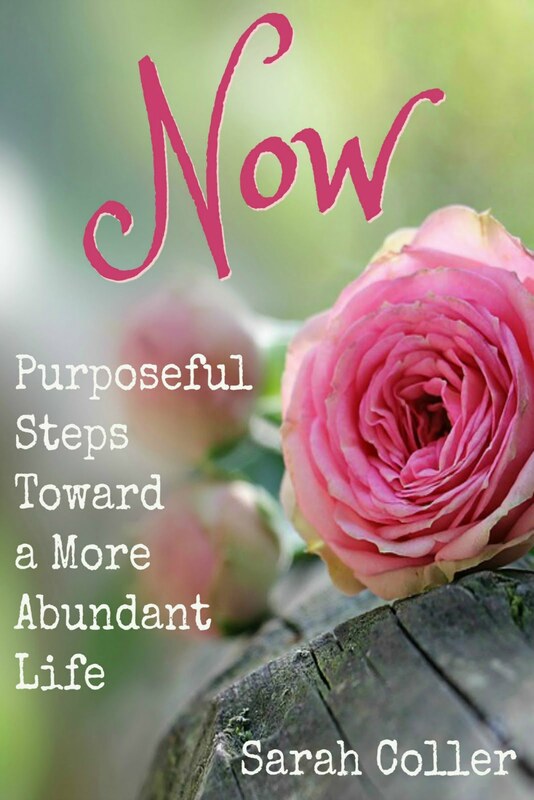 thanks so much for linking up with my party and for inviting me to yours. I am blessed with visiting you! Sarah, I tried to comment this morning but my service wasn't working. We live int the mountains and it happens to my dismay. My grands were here for Valentine's Day and we had a grand time with them. No pun intended. HA! Your party is delightful and I admire your family and your love for each other very much. My family is the same way. We are blessed. Your beautiful children are very creative. What a sweet little party! Everyone looks like they enjoyed themselves, too. 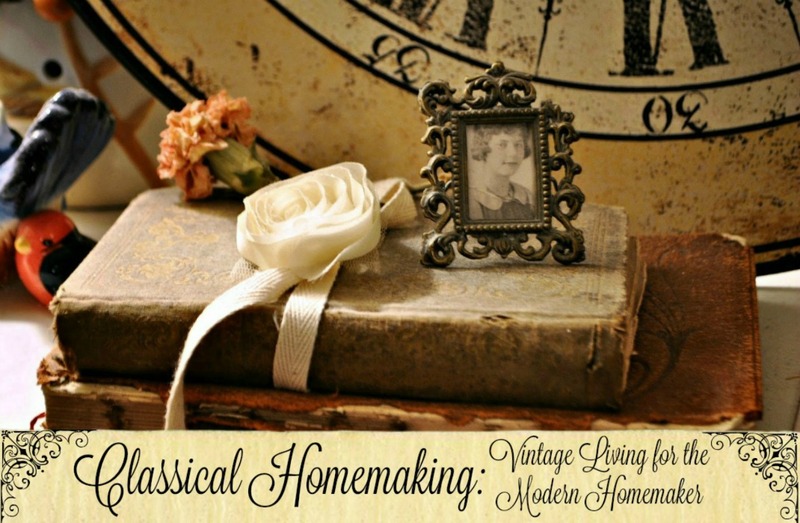 I will have to start linking to your homemaking blog party, too. Thanks for your visit! I just linked up another post for you. Thanks you for making your link-up special. I didn't see Deep Roots in the list of places you share...you really link-up a lot ;) I will have to come back just to see where all I might do more linking, but alas, I often don't get extra time to do it. Your family is very precious!! What a blessing having your mom there with you for Valentine's Day!